When it comes to maintenance water softeners tend to be very low key. After entering in your water hardness levels, setting the timing parameters for regeneration and making sure the salt is properly refilled, there really isn’t much else for you to do. The system will continue to do its job on complete autopilot. 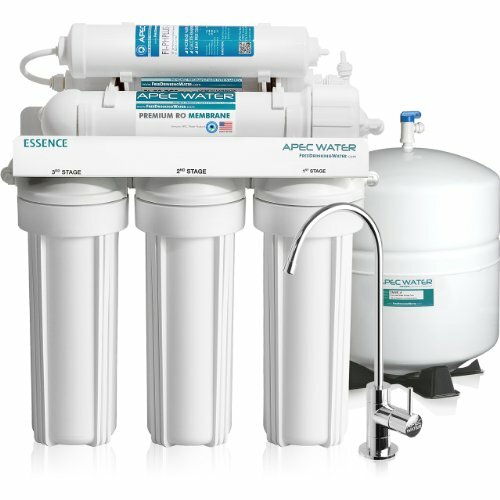 Although water softener systems are considered low maintenance, there are a few things you can do to ensure the system continues to run smoothly for many years to come. Overtime, as water moves through the system, salt bridges start to form. A salt bridge is a hard crust that forms in the brine tank. Once the hard crust has formed it creates an empty space between the water and the salt. When this happens the salt is no longer able to dissolve in the water to make brine. As a result the resin beads will no longer be able to soften the water. There are three main things that can cause bridging. Using the wrong type of salt, humidity and constant changes in temperature. If you know your water isn’t soft yet your salt tank is full, chances are you have a salt bridge. The quickest and easiest way to test for a salt bridge is with the handle of a broom. Take the handle of the broom and push on the top of the salt. Be sure to use a bit of pressure so any salt that has solidified will break up. Another more serious problem you may encounter is salt mushing. Salt mushing occurs when a sludge forms at the bottom of the brine tank due to dissolved salt recrystallizing. The sludge is a very thick layer of salt that prevents the system from properly going through the regeneration process. As a result the water will remain hard and the tank will have a serious blockage. If you find you don’t have a salt bridge chances are your problems are being caused by salt mushing. In order to fix this issue you will need to drain all the water out the softener, dig out all the old salt and replace it with fresh salt. The best way to avoid these salt issues is to invest in high quality salt pellets. Doing so will greatly reduce the potential for problems that have to do with salt bridging or salt mushing. You should also avoid overfilling the brine tank with salt. By keeping it half full old salt won’t be able to stick to the walls of the tank. Last but not least make sure you keep a close eye on the humidity levels around the water softener. Too much humidity will lead to condensation which can cause a salt bridge to form. When it comes to the type of salt you put in your water softener system you have three basic options to choose from. The first and least expensive option is rock salt. Rock salt has higher levels of impurities and can cause your tank to become muddy. When the tank becomes muddy the system will become less efficient. The second type of salt is solar salt. When compared to rock salt, solar salt is much more soluble. It can be found in both crystal and pellet form. The third type of salt is evaporated salt. Of the three, evaporated salt is considered to the be the best option. It is the purest form of salt and is obtained through mining and evaporation. When it comes to choosing the right salt, look for those that have higher purity. Higher purity salts don’t leave as much residue in the storage tank which means salt mushing and salt bridging are less likely to occur. High quality salts will help eliminate most bridging problems. If you find you are having specific issues such as rust stains, look for salt products that address that specific issue. While salt will recharge the resin beads on a regular basis, it is still a good idea to flush the resin bed every few months using a water softener cleaner. This will ensure the system is always in top form and performing at optimal levels. 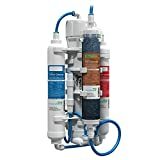 Over time, as you continue to use your water softener day in and day out, heavy metals, iron and a host of other organic compounds will pollute the system and cause it to become less efficient. The best way to prevent this from happening is to manually regenerate the system by pouring water softener cleaner down the brine well. During the normal flushing process the cleaner will automatically get discharged. By manually flushing the resin bed the resin will remain “clean” and able to properly do its job which is to absorb as much calcium and magnesium as possible. The last thing you can do to maintain your system is clean the venturi valve. The venturi valve is responsible for creating the suction during the regeneration cycle. Because of this it’s easy for the valve to get clogged up with dirt and sediment making it impossible to do its job effectively. Cleaning the venturi valve is imperative if you want the water softener to work properly. The good news is it’s quite easy to do and there are no special tools needed. All you have to do is unscrew the valve cover, remove all internal parts that are removable, wash them in soapy water and reconnect them to the system. Do this twice a year and your system will continue running smoothly for many years to come. Let’s close out this guide by sharing a few simple tips that will help you keep your water softener running for a very long time. Knowing these for things will ensure your softener will continue operating and optimal levels for many years to come. In order for a water softener to work it must have some form of salt. It will either be sodium or potassium chloride. In or for the regeneration cycle to work you will need to add one or the other to the tank. #1 – What size is the brine tank? #2 – What level of water hardness is in your area? #3 – How many people live in your home? #4 – How much water does your household consume on a regular basis? If you have a large family chances are your household will use quite a bit of water on a regular basis. As a result you will need more salt than someone who has a smaller household. To help make this process easier newer model softeners have a control panel that tells you when you need to add salt and when you need to put the system through a regeneration cycle. The brine tank must be filled a quarter of the way at all times. And for optimum efficiency you should be a maximum of six inches below the top of the tank. You always want the salt level to be a few inches higher than the salt level. If the salt level seems low, the first thing you want to do is check to see if salt crust is sticking to the edges of the tank. If salt crusting is the case, find a stick to loosen it up and then remove them from the tank. If salt crusting is not the problem, add more salt to the tank. How much salt your water softener needs will depend on several things including what type of softener you are using as well as how much water your household uses. When buying a water softener make sure you use the tips outlined in this guide to ensure you get the right size softener. The average size family will use about 10 pounds of salt in a 7 day span. Generally speaking there will always be some water at the bottom of the brine tank. Keep an eye on it as it should never be more than 12 inches high. I like when you mentioned that getting a water softener is important especially when there is a lot of hard water coming out of the faucet. Hard water can cause skin dryness and could render washing soap ineffective due to the high level of minerals found within it. For a water softener to work properly, one should know when to add salt to the tank so that it would operate properly. 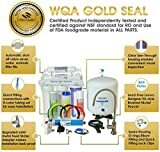 If I had to get a water softener system I would make sure that it would be large enough to cover for all of the needs inside the house such s bathing, cooking, and washing the clothes and dishes.